A simple, straightforward, biblically-based children's message can have a huge impact on an entire congregation. But how do you prepare and deliver effective, age-appropriate children's sermons to distracted adults and wiggly kids with short attention spans? 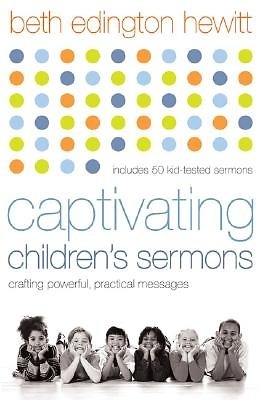 Captivating Children's Sermons offers fifty kid-tested, ready-to-use children's messages, plus helpful advice on how to develop new sermons that are story-driven, prop-driven, event-driven, and series-driven. This handy guide will give ministers, children's directors, and teachers the knowledge and techniques needed to create a powerful message that can communicate God's truth to young and old alike. Beth Edington Hewitt also helps readers understand the significance of children's sermons in the context of an adult worship service.